Shadow of the Colossus’ remake does more than spruce up the game’s graphics, it also adds an entirely new collectible for players to find. Players hunting down these hidden trinkets believe they are on the path to a new secret but there’s a hurdle in their path—they don’t know how many exist or what will happen when all of them are found. They glow in the dark. That’s how you know they’re important. 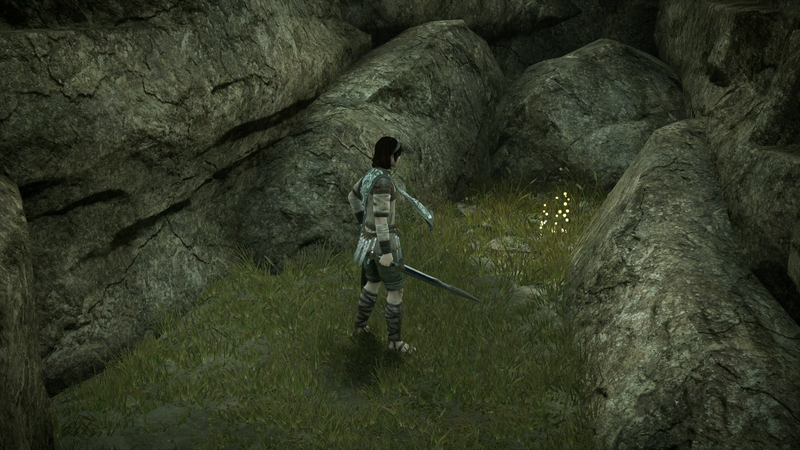 A total of 70 coins have been found so far, often hiding among ruins or sitting near cliffsides. Reaching them often requires difficult jumps that can be made easier with the Cloth of Desperation, a parachute item unlocked by playing the time attack mode. Players who have beaten the remake discovered that the game credits have a special thanks section that mentions “Nomad Colossus and the 79 steps to enlightenment.” Nomad Colossus is YouTuber known for covering Team ICO games and exploring their world. The special thanks has some players speculating that there are 79 items to find before unlocking a greater secret such as a new location or hidden colossus. The idea is that these items are not gold coins like some players though but actually the “enlightenments” mentioned in the credits. It seems players are on the right track to hunting down the rest of the collectibles although Sony doesn’t seem keen to reveal what will happen once they are found. With a little more sleuthing, the secret will be revealed. Unless the real secret was just the shiny stuff we collected along the way.